Tecno mobile recently added to its already long list of Android devices a hot Smart device with the name Boom J7. A name if not mistaking, sounds more less like the boom sound of a bomb. From what can be seen physically, spiritually and heard from the horses mouth Tecno, the phone was introduced basically to provide its users with great sound and visual display quality. And with respect to that bags a super 5.0 HD display screen for an amazing user experience on videos. Apart from the quality sound, large 5 inch display with good image quality and the above apps, Tecno boom has the following key features: 1GB Ram, 16GB internal memory, 8MP camera, 1.3ghz quad core processor and runs Android version 4.4 kitkat. 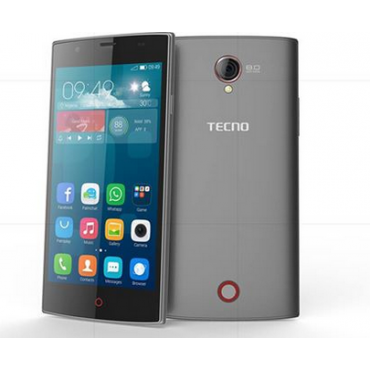 Where To Buy Tecno Boom J7? Konga Nigeria N24,000 Buy Now! Jumia Nigeria N26,000 Buy Now! Capacity : 2020mAh Li-Ion battery.